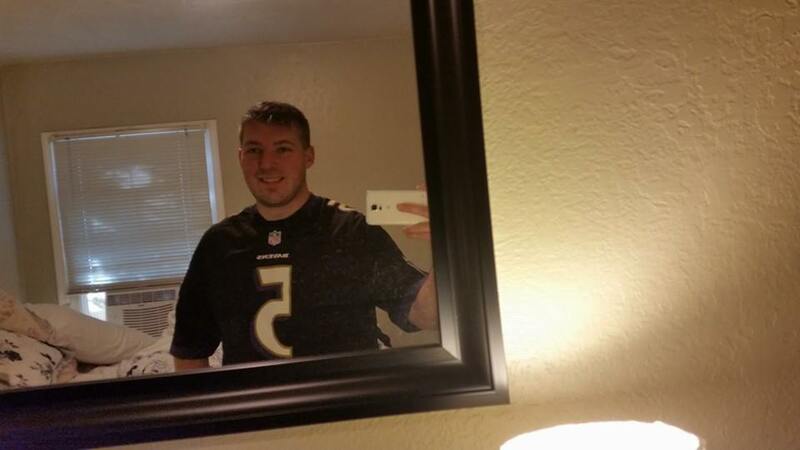 Yesterday I played my first two Kinect games on the Xbox One. That’s not to say the Kinect hasn’t been useful, I love using it for voice commands, streaming, logging in, switching / snapping apps, changing channels, the list goes on and on. I just haven’t used it to play a Kinect game yet (I have used Kinect features in games and enjoyed it). Last night I downloaded both Just Dance 2015 and Dance Central Spotlight and enjoyed both quite a bit. I had never played a Just Dance game before, but right from the start I was impressed. I really love the sleek and quick menus and the collection of songs available is quite enjoyable. The game features about 40 songs but you can buy more for $1.99 a song (we bought a handful including PSY’s “Gangam Style” which is so fun to dance to I’m surprised it wasn’t included in the game). A look at the menu on Xbox One. 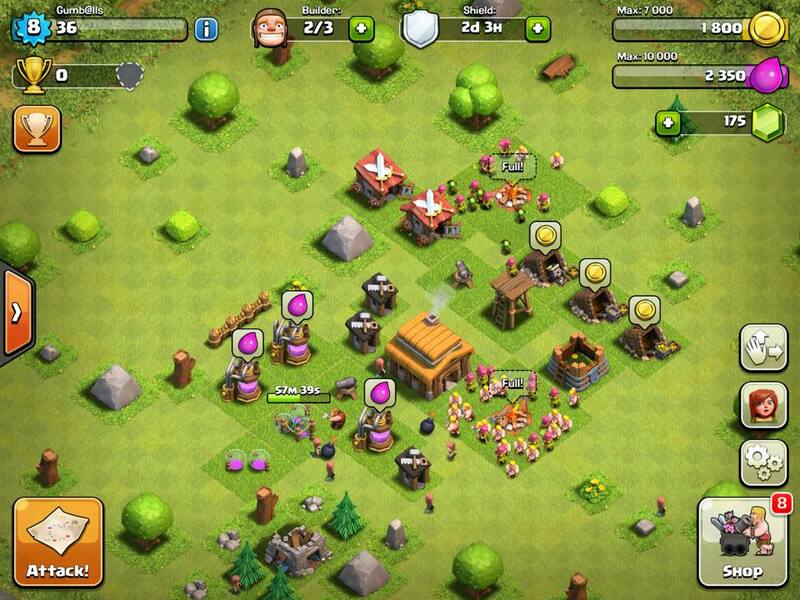 You can navigate either with hand motions, voice commands or with a controller. The dancing in Just Dance 2015 is simple enough to make it accessible to just about anyone, but it can be challenging in a fun way with some more complex moves (some even requiring you to get down on the floor, or hold another dancer). At the end of the song you’re presented with a highlight reel edited by the ‘autodance’ feature which will make you look as good as possible (but still quite goofy if you’re me). You can choose to share your highlight reel with the Just Dance community and even Facebook if you like. 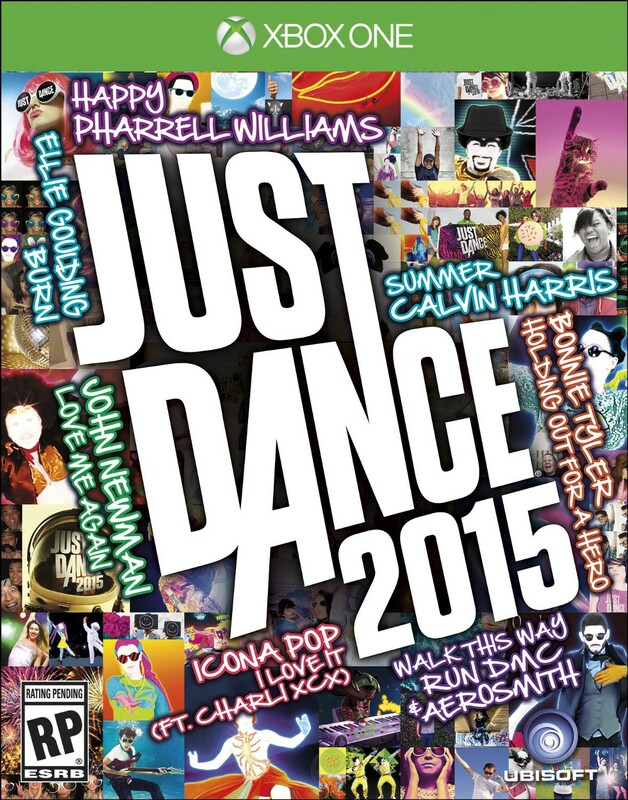 At the moment, however, the Facebook functionality in Just Dance 2015 is not working on the Xbox One for many users. Once it launches the IE app to connect to Facebook there’s a URL redirect error. I’ve e-mailed Ubisoft support (as have many other users) but I haven’t seen a response yet. My highlight reel from “Gangam Style”. Not the best dancer, but hey there was alcohol involved! 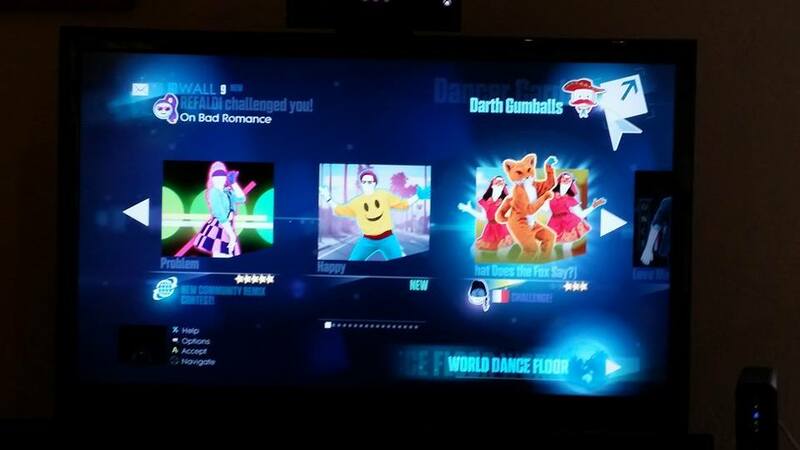 There’s some multiplayer functionality available in Just Dance 2015 as well. You can compete with other dancers by adding challengers and you’ll see their scores alongside yours throughout the song. These are pre recorded scores you’re competing against but it gives you an incentive to up your game. 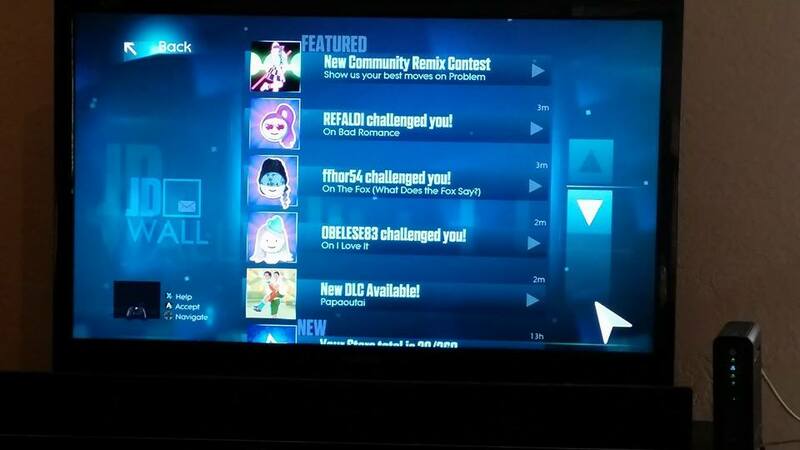 I’ve also received challenges in my Just Dance feed from other players. I assume the game is curating these challenges rather than being issued by the players, but I haven’t played enough to know for sure. You can also compete against live dancers in the World Dance Floor mode, however I haven’t had a chance to try it out yet. When I was playing last night there were on average 25 dancers online in World Dance Floor mode at any given time throughout the evening. 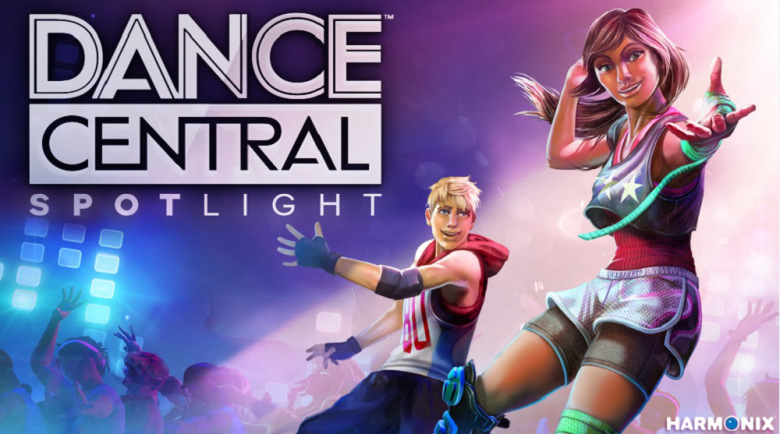 Dance Central Spotlight is Harmonix’s dancing game available as a $9.99 download on Xbox One. As opposed to Just Dance which bundles 40 songs into a $50 package, Spotlight charges a minimal fee for the game and throws in a small sampler of songs (10 songs) and then allows you to purchase only the songs you want for $1.99 a song (some bundles are available for $3.49). 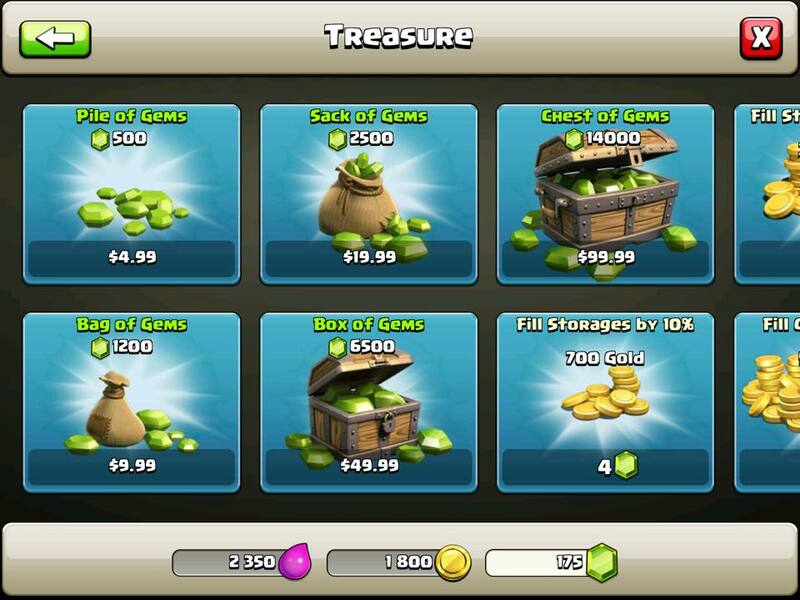 I actually like this business model of charging just for the content you want. There are quite a few DLC songs available for download already with more to come (I picked up “Turn Down for What” and “Party Rock Anthem” so far and plan to pick up a few others). Dance Central focuses more on a core set of moves and incorporates those moves into the various songs. The game wants you to learn those moves and master them as the difficulty raises and more and more moves are introduced. From my experience Just Dance has unique dances for each song and doesn’t reuse any routines, however this can lead to quite a bit of chaos (which can also be fun). Once you learn the moves of Dance Central it’s easy to nail routines and feel like you’re not just flailing limbs around like what tends to happen in Just Dance. So far I’m enjoying both games quite a bit and they have me wanting to check out Harmonix’s Fantasia Music Evolved as well. I may end up picking Fantasia up in the few weeks to experience some more Kinect content. If you’re looking for some fun party games that make use of the Kinect I highly recommend checking out Just Dance 2015 and Dance Central Spotlight on the Xbox One. Every morning I wake up and tune to CNN to get a quick look at what’s going on in the world. Sure CNN isn’t the best quality news, and I quickly tire of it and head to The New York Times to get a better look at the news, it’s easy to tune to first thing in the morning. 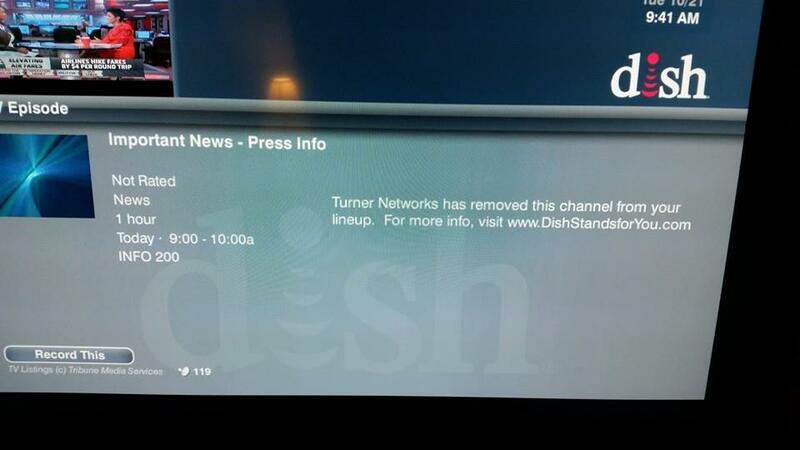 Today, however, I was met with a message saying that “Turner Networks has removed this channel from your lineup” because of a contract dispute. Other channels missing include Headline News (HLN), Cartoon Network, truTV, TCM, Adult Swim, Boomerang and CNN en Espanol. I hate how this always seems to happens, and don’t understand why these things can’t get settled without all the finger pointing and putting the customers in the middle of the fight. I don’t doubt the channels will return in a timely manner, I just feel like it’s a childish move. So if you were looking for CNN this morning on DISH Network I recommend Aljazeera America as an alternate. I feel like they offer the least sensational presentation, and they’re more focused on investigating the news rather than trying to capture viewers. After an exciting, though ultimately disappointing game (for those rooting for the Irish) last night between Notre Dame and Florida State, I’m reading hoping for a better result between the Ravens and the Falcons. So far it’s been pretty positive with Baltimore leading 7-0 early in the second quarter, however just as I began to write this Flacco threw an unfortunate interception in the endzone. I’m glad to be back in the United States where I can watch football live on Sunday, rather than having to catch games on NFL Rewind (which I subscribed to while I was in Korea). It’s nice to be able to catch all the action as it’s going on, as I juggle games on my MacBook (Ravens), the TV (Seahawks) and my iPad (NFL Redzone / NFL Mobile). 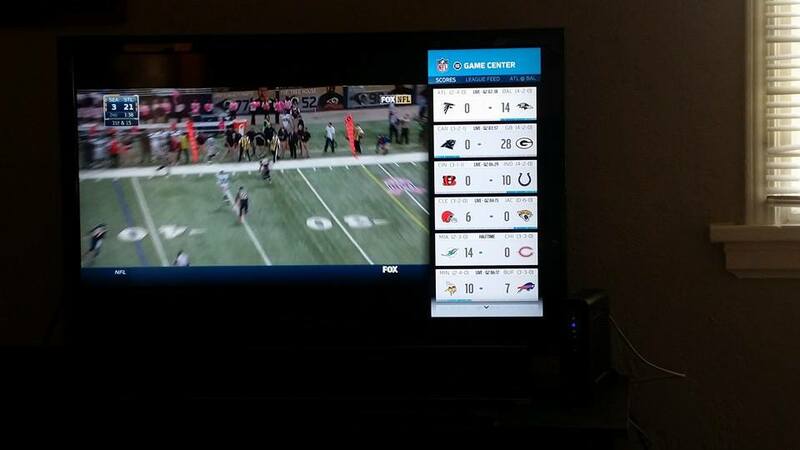 I love how technology has made keeping track of gameday easier than ever. 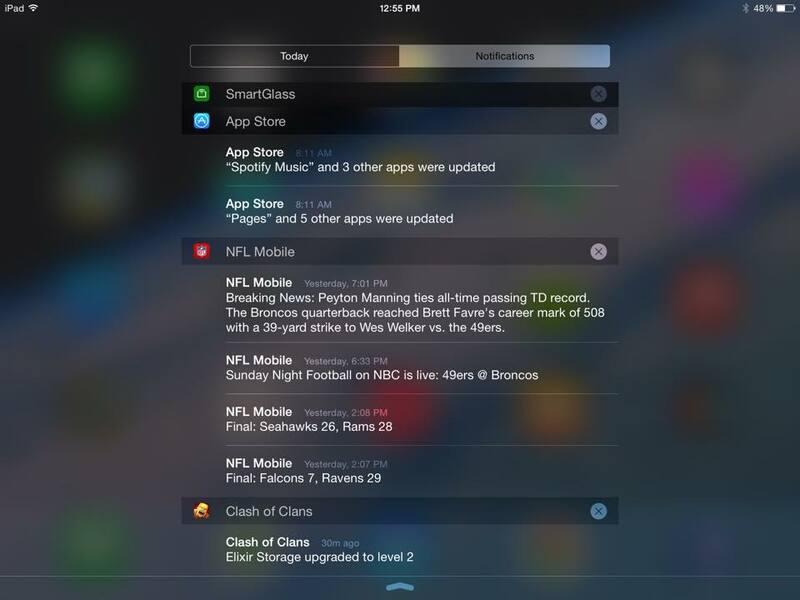 You no longer have to rely on half time updates or tickers and you can access the information you care about when you want it. 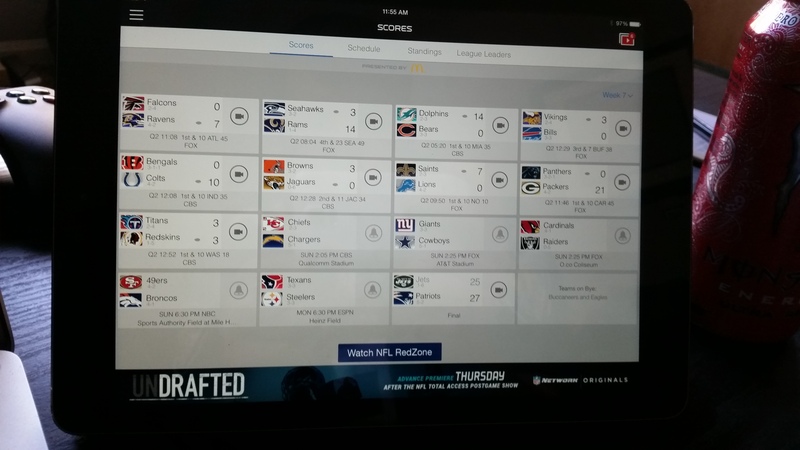 With apps such as NFL Mobile and NFL Now you’re able to curate your own information (drive charts, highlights, scoring plays, stats, roster information and so on) with a few taps and swipes. 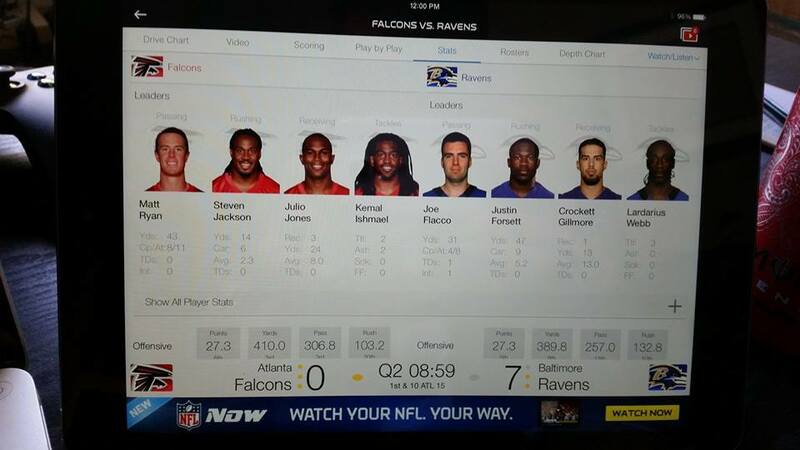 In addition to the mobile apps there’s also the NFL app on Xbox One which you can use in snap mode to keep an eye on other scores and also view stats and highlights in real time. 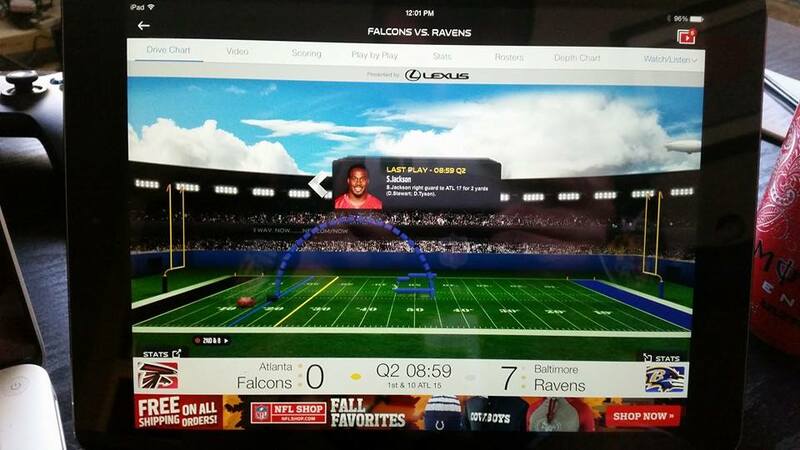 I’ll usually snap the NFL app every now and then to get a quick look at everything assuming I’m watching the Ravens game on TV, otherwise having my iPad up next to my MacBook makes it easier to glance over at the NFL Mobile app in-between plays. 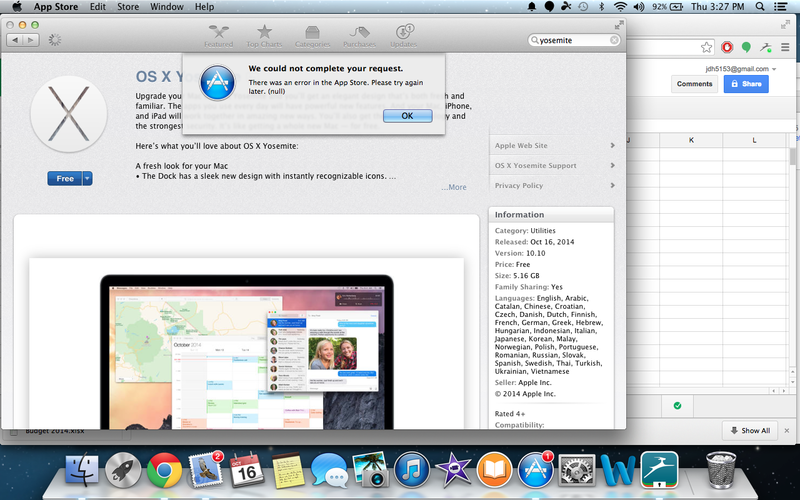 Quick update, after giving it just a few minutes after posting this I was able to get Yosemite to start downloading. Yay! Hey there, sorry I haven’t been around over the last week or so, but I returned home from my summer ‘deployment’ (more like 4 months TDY seeing as we spent it in Hawaii and Korea) last Friday and have been busy since then. OS X Yosemite was finally made available and I was quite excited to install it, only to hit a roadblock this afternoon as I’m unable to download the update. I’ll continue trying as the evening goes on, and hopefully I’ll be checking out Yosemite later tonight or sometime tomorrow. When I click the download button I’m first hit with the message “This item is temporarily unavailable” and then once I hit ‘OK’ I see another error, “We could not complete your request. 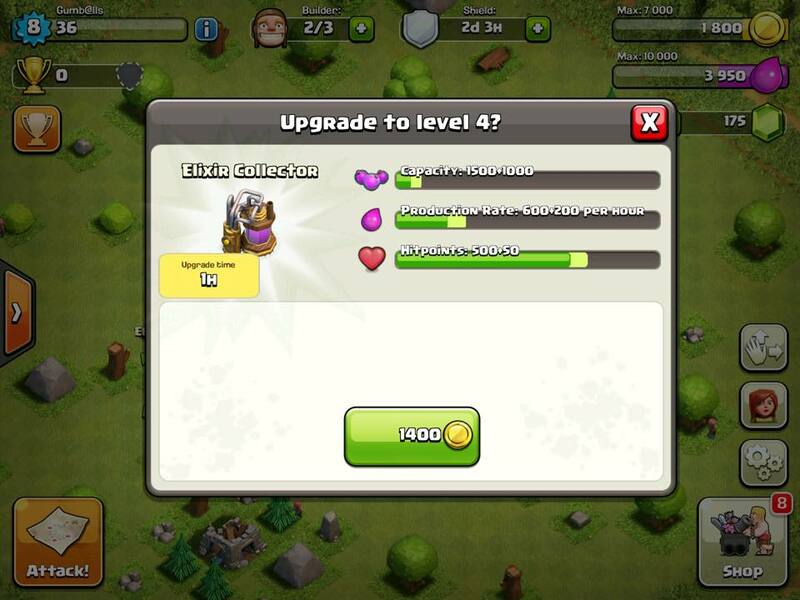 Are you having any luck getting the update? Have it already? What do you think about it?